“The NY2C Program has been a very positive resource that has enriched my life. It is an honor to once again take on such an important and fulfilling role of a mentor to prepare Native youth for college while emphasizing the continuance of traditional cultural values that can help ground them in their lives and academic careers. Personally, this program has helped me reflect on the importance of being a role model for the youth and how my own life experiences might be used to motivate high school students to pursue higher education. Celebrating its 10th anniversary, the Native Youth to College Program (NY2C) is a college preparatory program designed to motivate Native high school students to complete their education, successfully apply to college, and strengthen their self-esteem. Currently, Native American people make up less than 1% of minorities in higher education; the gap often comes from inadequate preparation from the current school system. 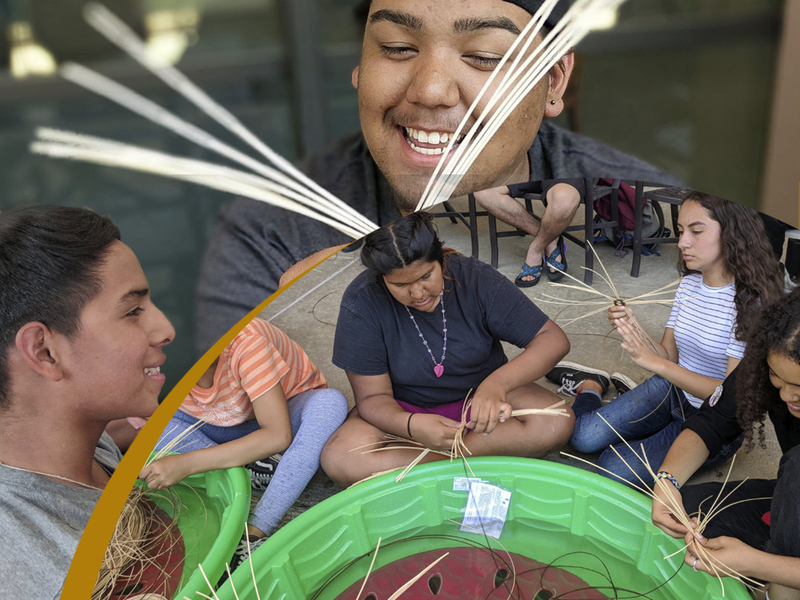 This program’s curriculum is designed to support Indigenous youth in all aspects of college life, allowing them to succeed academically while not having to leave their culture when they go to college. Elders provide cultural workshops, such as drum making, leading a talking circle, and morning Indigenous games. A local ‘Elder-in-Residence’ is also tasked with guiding participants through ceremonies/talking circles and giving students the chance to interact with an Elder in an informal and welcoming manner.